I found a few shells the other day, and I knew I had to create something cute with them. The first thing I thought of was this pretty gold shell ring. It is cute, stylish and ready in minutes. This is a super fast and really satisfying DIY project! Learn how to make a gold shell ring after the jump. . . I made this pretty feather earring with feathers that I bought online. But if you have some birds or chickens at home I’m not stopping you from using the feathers they left behind. It would only make this earring more special! Learn how to make a long feather earring after the jump. . . Okay, it’s obviously not real silver in this ‘wood’ bracelet. But you have to admit that it looks like it! 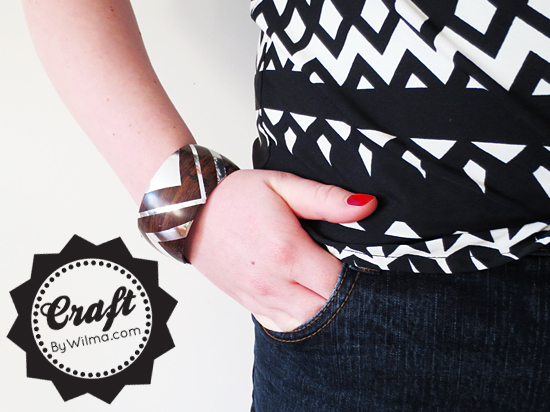 I decided to give a bracelet with wood-print a makeover with silver duct tape. This looks like the wood has a silver inlay. Of course you could also take a real wood bracelet for this DIY, but I had this one with wood-print still lying around. I really like the result and I’m sure I will wear this bracelet very often! Read on to see how to make this wood bracelet with ‘silver inlay’. . .
My boyfriend was busy cleaning the closet and ran into some cards. Of course they were all cards we never use. That’s probably why they are in a closet. He wanted to throw them all away, but I thought I could make something fun out of it. In the past I have made guitar picks, ​so I knew that they are fairly easy to cut with ordinary kitchen scissors. This gave me the idea to make a necklace with it. With a little nail polish you can give the plastic any color you want. So let your imagination run wild! 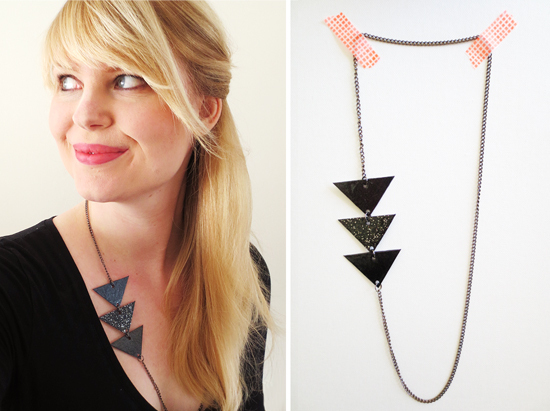 Read on to see how you can make this geometrical triangle necklace out of a recycled gift card. 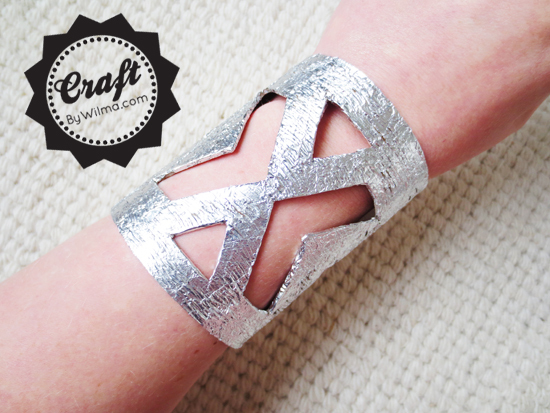 . .
As promised today a cuff bracelet DIY project. This hammered metal look cuff bracelet is super easy to make with materials you most likely already have. As a base for this bracelet I used a toilet roll that I took from a restaurant. Those are bigger and stronger than the ones you use at home.